Fauna in Nagarjunasagar forms a major part of the wildlife in Nagarjunasagar . 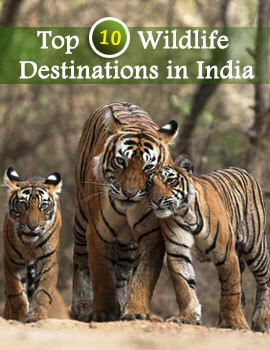 The Nagarjunasagar Tiger Reserve in Andhra Pradesh is the largest Tiger Reserve in India. It sprawls over an area of 3568 sq km and covers more than five districts of central Andhra Pradesh. The sanctuary lies in the catchments area of the Krishna River in the state, and nestled in the Nallamalai Hill ranges. Fauna in Nagarjunasagar are numerous and diverse. There are a plethora of animals at Nagarjunasagar Tiger Reserve. Apart from tigers, you can sight animals like leopard, jungle cat, wild dog, wolf, jackal, Bengal fox, sloth bear, four-horned antelope, sambar, spotted deer, nilgai, blackbuck, chinkara, Indian pangolin, langoor, bonnet macaque, smooth-coated otter, palm civet, striped hyena, wild boar, Indian spotted chevrotain, Indian muntjac, giant flying squirrel, Indian porcupine and Indian tree shrew at the sanctuary. Among the several reptiles, you may view the Indian soft-shelled turtle, Indian python, cobra, monitor lizard, and the marsh crocodile. Nagarjunasagar Tiger Reserve is one of the Project Tiger Reserves in India. Tigers are an integral part of the fauna in Nagarjunasagar . The prime purpose of forming the Nagarjunasagar Tiger Reserve was protection and conservation of tigers. The sanctuary was declared a Tiger Reserve in the year 1983. To witness the fauna in Nagarjunasagar during your visit to the Nagarjunasagar Tiger Reserve, you can stay at the three forest rest houses/temple cottages present in the forest area. 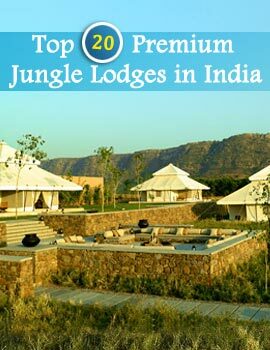 These rest houses, aided with all modern amenities, offer you comfortable accommodation.